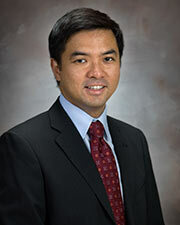 Gerard Francisco, M.D., is chairman and professor in the Department of Physical Medicine & Rehabilitation at McGovern Medical School at The University of Texas Health Science Center at Houston (UTHealth). Dr. Francisco is one the nation’s leading physicians in the field of brain injury, stroke rehabilitation and spasticity management. In the last decade, he received the Dean’s Teaching Award from McGovern Medical School, and the Physical Medicine and Rehabilitation Alliance of Baylor College of Medicine and The University of Texas Health Science Center Teacher of the Year Award. Since 2001, he has been listed in annual “Best Doctors in America.” Dr. Francisco also holds office in various national PM&R associations, and is a member of specialty organizations, including the ACGME Residency Review Committee for PM&R. UT Physicians has opened a new physical medicine, rehabilitation, sports medicine and pain management clinic in southwest Houston.